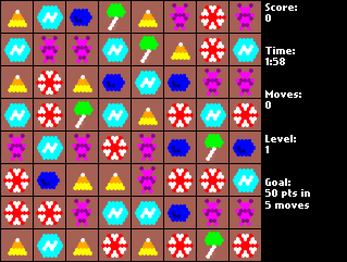 Made by Noyb for #candyjam. Thanks to Sergio Cornaga, mno, Brian Smith, Jack de Quidt, XenosNS for testing. Click or drag adjacent candies to swap them.